Seven of the country’s biggest conglomerates have submitted an unsolicited proposal to improve and transform the Ninoy Aquino International Airport (NAIA). The so-called NAIA “superconsortium” submitted the proposal last February 12 to the Department of Transportation (DOTr), vowing to improve the Philippines’ aging main aviation hub. The group said the long-term project was estimated to cost Php350 billion, which will be spent over the entire concession period. The seven companies making up the consortium are Aboitiz InfraCapital, Inc., Ayala-owned AC Infrastructure Holdings Corporation, Andrew Tan-led Alliance Global Group Inc., Lucio Tan-owned Asia’s Emerging Dragon Corp (AEDC), the Gotianun family’s Filinvest Development Corporation, the Gokongweis’ JG Summit Holdings, Inc. and Metro Pacific Investments Corporation. Together these seven partners have a combined capitalization of over Php2.2 trillion. All the companies signed a memorandum of agreement formalizing the consortium. In a statement, the NAIA Consortium said it is tapping the expertise of Changi Airports International Pte. Ltd., operator of Changi Airport in Singapore, to provide technical support in the areas of master planning, operations optimization and commercial development. The group said it is committed to the development of a modern airport complex that will meet the long-term passenger demand at NAIA. NAIA currently has four terminals (three international and one domestic) and handles about 40 million passengers annually. It has figured in the news in recent years for regularly landing in various online lists of the world's worst airports, although it has since moved out of these lists after extensive renovation and refurbishments, particularly in Terminal One. The statement said the consortium’s proposal supports the government’s ‘Build, Build, Build’ program with its plan to develop NAIA into a world-class facility and a regional air transport hub through upgrades in its airside, landside and air navigation support. This supports the gains already achieved by the DOTr in terms of improving the traffic of aircraft movements on its runways. The project is divided into two phases: Phase 1 includes improvements and expansion of terminals in the current NAIA land area, while Phase 2 involves the development of an additional runway, taxiways, passenger terminals and associated support infrastructure. “Through this proposal, we envision a new NAIA: a fully-integrated premier gateway that we Filipinos can truly be proud of, backed by the know-how of an experienced technical partner and the strong synergy of seven homegrown teams. The message is clear: we need this, and we can get this done,” said consortium spokesperson Jose Emmanuel Reverente. He added that the proposal includes a “people mover” that would link all three terminals and connect NAIA to the existing mass transport system in Metro Manila, as well as an option for a third runway. 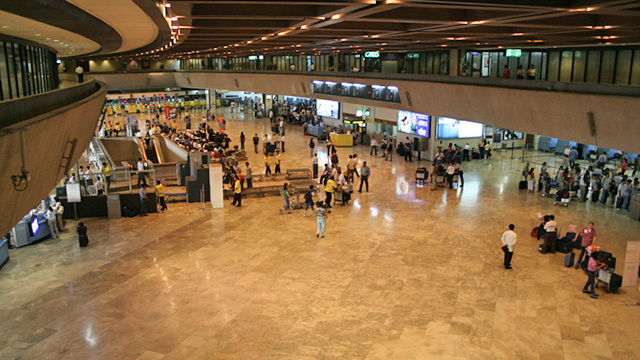 “The proposal involves expanding and interconnecting the existing terminals of NAIA, upgrading airside facilities, and developing commercial facilities to increase airline and airport efficiencies, enhance passenger comfort and experience, and improve public perception of NAIA as the country's premier international gateway,” Reverente added. Passenger traffic to NAIA is expected to continue to grow significantly over the coming years. 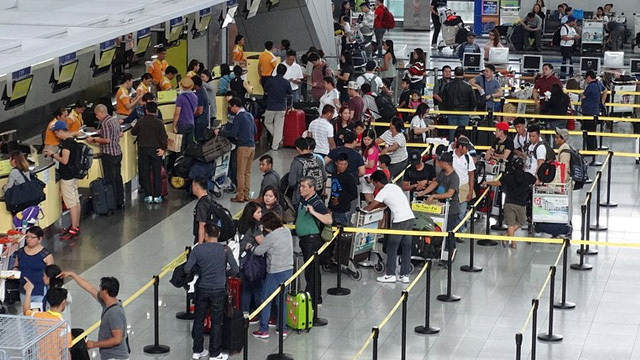 In a report in BusinessWorld newspaper, passenger traffic reached 42 million in 2015 and was expected to grow in mid-to-high single-digit percentage in 2016. This has led to concerns that the existing runway configuration may be unable to accommodate the future flow of passenger and cargo traffic. The statement said that construction of the additional runway would ensure the ability of NAIA to serve as Manila’s gateway for years to come, bringing potential capacity up to 100 million passengers per year. “The upgrades will elevate NAIA to the level of major regional airports such as Changi in Singapore and Suvarnabhumi in Bangkok and will become a viable transit hub for the ASEAN region,” the statement added. “Given the full support and commitment of each of the seven consortium members and the existing infrastructure already in place, the project implementation can be expedited. Immediate enhancements and capacity upgrades can be expected within a couple of years, followed by further expansion to be completed shortly after,” Reverente added. The government has to evaluate the NAIA’s Consortium’s proposal alongside other private sector offers to improve the Manila’s international airport or build a completely new international airport outside Metro Manila. Earlier this year, engineering and construction company Megawide also submitted a proposal to rehabilitate and operate NAIA. Megawide won the contract to rehabilitate the airport in Cebu in 2013, in partnership with an India-based firm. Diversified group San Miguel Corp. has also submitted a Php700-billion proposal last year to build a completely new international airport in Bulacan, to the north of Metro Manila, covering some 1,100 hectares. In 2016, Belle Corp., a unit of the SM Group owned by the country’s richest man, Henry Sy, and Solar Group of Wilson Tieng also signed an agreement to firm up plans for a new international airport to be located in Sangley in Cavite, to the south of Metro Manila. Before that, the government was also considering plans to upgrade and expand the Clark International Airport as the country’s main aviation gateway. *An earlier version of this story stated that Megawide entered into a partnership with the Social Security System to bid for the NAIA 3 project. SSS has clarified that it has not finalized any deal with Megawide for the rehabilitation of NAIA.